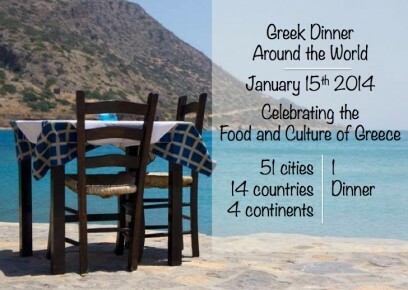 On January 15th, Greek food lovers from all over the world gathered together to share and enjoy a delicious Greek dinner over one virtual table. Organized by Keri Douglas and Katie Aliferis, this historic and hugely successful virtual event included tables, food and friends from over 50 cities, in 14 countries, on 4 continents for 1 amazing dinner. Dinner began with wine and spirits including a blood orange and fennel ouzo shot from California Greek Girl, a traditional Greek tsipouro from Marjory McGinn and a gorgeous Greek wine from Lorna Paschakis. There were so many authentic, traditionally vegan dishes on the table from the beginning to end. 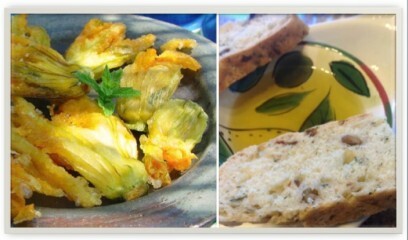 Dinner started with dishes including fragrant, warm eliopitta or olive bread with rosemary and lavender infused olive oil from Kouzounas Kitchen and gorgeous fried squash blossoms from New Wines of Greece. And Greek vegan specialties featured prominently in main courses like braised oven vegetables from Family Spice, fakes and oregano roasted potatoes from Tsantali Wines, fasolada from Maria Dimitrakarakou, black eyed peas with onion juice and olive oil from Marianna Kavroulaki, and stewed greek green beans and stuffed grape leaves from Effie who dedicated her Greek Dinner table to her Yiayia Vasiliki. So many stories, so many kitchens – it was a unique and very special gathering of like minds, hearts and palates all over the world. 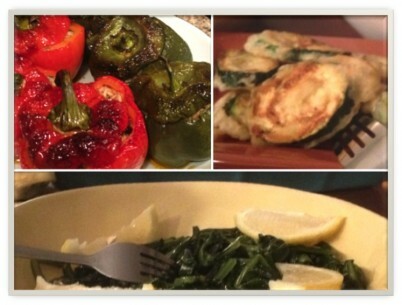 At The Greek Vegan, we enjoyed oven charred stuffed peppers, sweet dandelion greens (horta) with olive oil and fresh lemon juice and golden fried squash to name a few dishes. We hosted a very special friend who has had a lot of things going on in her life as of late. An invitation to eat delicious Greek food and leave her cares and concerns at the door was just what the doctor ordered. We ate, drank, laughed and spent a few hours away from the stresses of everyday life. For us, Greek Dinner Around the World was the perfect excuse to make time to get together and enjoy each other’s company without kids, pets, employees and a strict NO CELL PHONE rule! It was a memorable evening of good food and good friends. Its funny how many dinners wound down with dessert of loukoumades including ours and Stayia Farms‘ who drizzled their own gourmet honey flecked with 24k gold pieces over top. 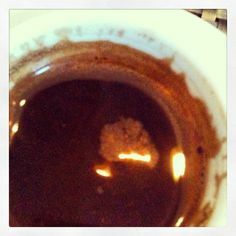 And of course, what Greek dinner would be complete without a hot cup of perfect Greek coffee like this one from Keri Douglas! There are honestly so many beautiful photos, too many to add them all to this one post. 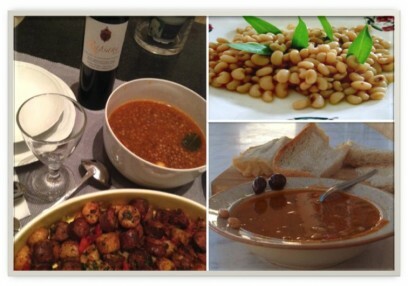 You can check out the hundreds of other dishes that were cooking for Greek Dinner Around the World on Twitter, Pinterest and Instagram by searching #GreekDinner. Planning your own Greek dinner? The Greek Vegan has over a hundred recipes to fill out your menu and you can find all your authentic Greek ingredients from Greek Dinner Around the World participants Flavorteaze.com gourmet greek food online and in the Washington DC area, The Mediterranean Way gourmet mediteranean market . Here’s to next year! 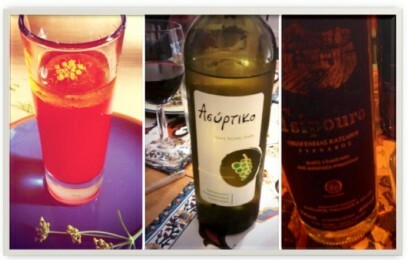 Thanks for the mention in your Greek Dinner round-up and link to my book. Very kind. By the way, as a lapsed vegetarian (not vegan) but still a big veggie lover, I will check out some of your recipes and foodie ideas which look very good. I love the way that Greeks are passionate about fruit and veg. One of my favourite experiences while living in the Mani was the weekly laiki market in Kalamata. Plenty of good vibes and mountains of fresh produce. 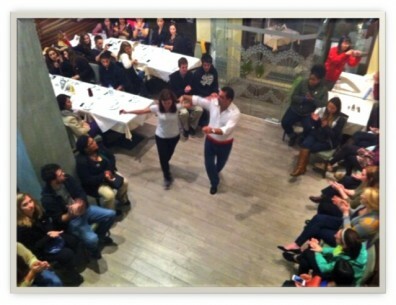 A wonderfully written piece on the Greek Dinner! You captured the feeling of the evening and hopefully your readers will too! Thank you for the mention. This will hopefully be a yearly experience for all! I truly loved all the lovely connections I have made- I found you!